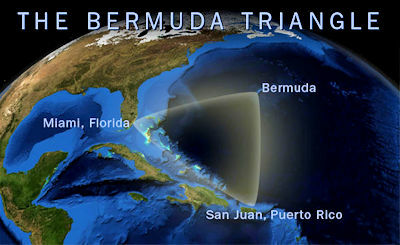 Is The Mystery of the Bermuda Triangle Solved (Again)? Now, some media reports are suggesting that the mystery behind Mr. Manilow’s admonition may be solved. Pointing to a Norwegian research abstract that details the discovery of craters at the bottom of the Barents Sea in the Arctic, British newspapers The Times and Daily Mail were somehow able to make the leaping proposal that similar craters caused “notorious” disappearances in the Bermuda Triangle during the 20th century.